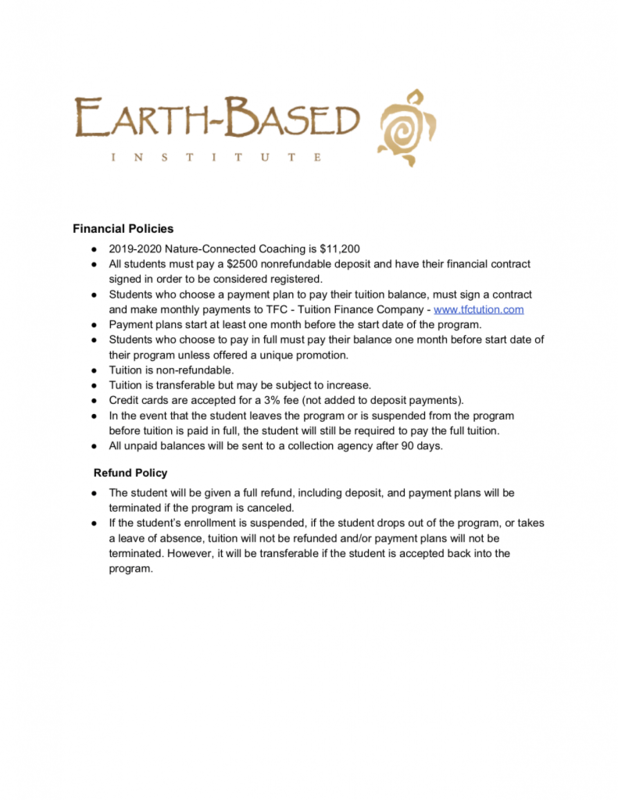 Earth-based Institute (EBI) offers two levels of certified coaching. Nature-Connected Coaching℠ is the core program. 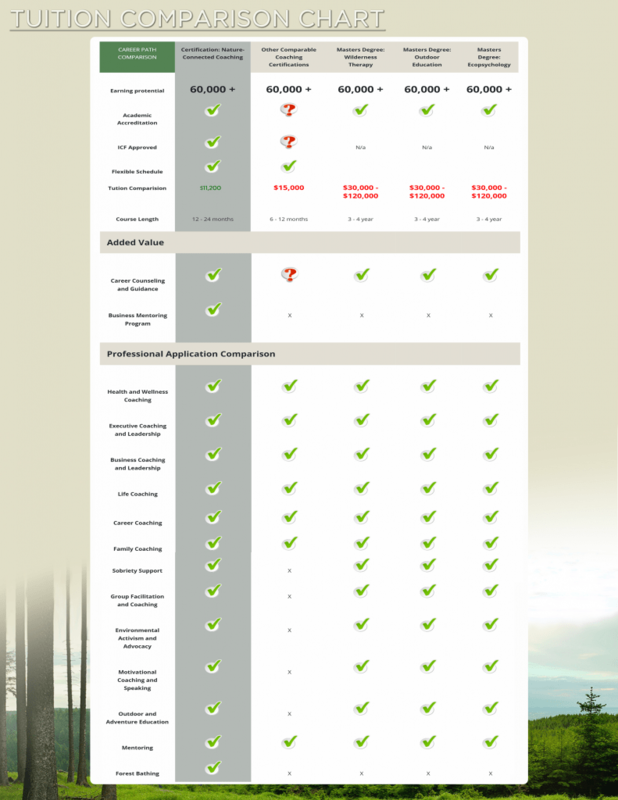 Transformational Wilderness Guiding is a second, optional level of certification. The Transformation Wilderness Guiding (TWG) certification is geared to those seeking to work with clients in remote wilderness. It teaches and reinforces the leadership and process skills necessary to support a wide variety of learning and therapeutic goals in the backcountry. The Wilderness Quest is an ancient ritual found in nearly every culture. The rhythms, beauty, and harsh realities of the wilderness act as mirrors—reflecting deep truths about who we are. A critical aspect to the Quest is an awakening—The Call to Adventure—often an external or internal event that spurs an individual to action. This program provides leadership training to develop skills that involve wilderness adventure and provide a non-pathological approach to guiding personal and professional transformation. Students must complete the Nature-Connected Coaching℠ program and the Wilderness Quest before attending the 14-day leadership training. Previous experience and training will be considered.